Come to our final meeting of the year with a garden tour and picnic at the home of Annick . Bring a sun hat and sunglasses! Please come with your own lunch. Betty Jane will provide water bottles leftover from the Rummage sale … and she has plenty of good well water. We will vote on next year’s officers and otherwise wrap up this amazing year. We’ll meet at 9:30AM at the lower Townhall parking lot in order to carpool. On May 13, 2014, at the Weaverville Town-hall, 9:30AM, our speaker will be Tom Ross, a retired meteorologist from the National Climatic Data Center, and current owner of High Country Nursery. 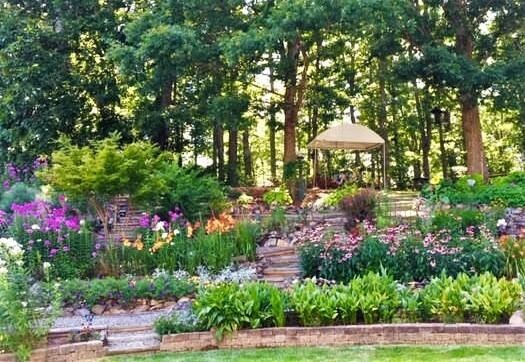 He specializes in growing Japanese maples, conifers, roses and other landscape plants. With his knowledge, his talk will meld meteorology and horticulture. Tuesday, April 22 at 9:30AM is the date set for the first Main Street gardens cleanup of the year. Volunteers are welcomed. Please bring gloves and any garden tools you want to use. For more information, please use the contact form on this site.